Barbara’s research aligns with the University’s Better Health Theme. Since completing her PhD, she has been working with the NHMRC-funded Centre for Research Excellence- Pulmonary Fibrosis. This work has involved leading the health economic evaluation of idiopathic pulmonary fibrosis under the supervision of Professors Andrew Palmer and Haydn Walters. In addition, Barbara is leading the development of a patient-centred early intervention strategy for detection of primary hepatocellular carcinoma; and evaluating the cost-effectiveness of new hepatitis C treatments. Recently, Barbara has evaluated aspects of after-hours primary care. 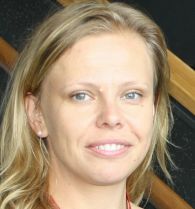 She led a project for Primary Health Tasmania, evaluating provision of after-hours primary care in Tasmania. In collaboration with Professor Mark Nelson, she evaluated the impact of the new business model of after-hours home visiting doctors on Medicare, culminating in a public submission to Medicare. In 2015, the Tasmanian State Government allocated additional funds to reduce the public hospital elective surgery waiting lists. A subset of waitlisted patients was fast-tracked for elective surgery to hospitals in Tasmania and Victoria. This project will evaluate the outcomes of this initiative. The overall aim of this project is to conduct a comprehensive health economic evaluation of the RHHs cutting-edge Rapid Access Chest Pain Clinic (RACPC) patient care model, compared to the usual care General Cardiology (GCC) clinic model for RHH patients with newly presented chest pain. The RACPC commenced in June 2014 and has realised positive clinical outcomes for its patients. Our comprehensive health economic investigation will build on the clinical work to systematically evaluate the health economic benefits of this innovative models patient pathways for people who present to the RHHs Emergency Department (approximately 70%) or by referral from a primary care physician (approximately 30%) with new onset chest pain. The LSCS trials a new model of coordinated care for clients with complex needs . Three community service organisations, Australian Red Cross, Mission Australia and Baptcare will employ 12 Lead service. Coordinators to provide the service to a maximum of 30 Tasmanians with multiple service needs. Clients will work with the coordinator to identify needs and match them to available services. The evaluation aims to test if this model of coordination leads to better health and wellbeing outcomes for the clients and more efficient and cost effective service delivery. Hepatocellular carcinoma (HCC) is the most common form of primary liver cancer and is the third leading cause of cancer deaths internationally. It occurs most commonly amongst patients with cirrhosis of the liver, which is often caused by chronic infections with the hepatitis B and/or hepatitis C viruses. The clinical outcomes for patients diagnosed with HCC are highly dependent of the stage at which it is detected. Late detection is associated with significant morbidity and mortality. If detected early, HCC is potentially curable.Screening programs have been suggested to increase the rate of early diagnosis for at-risk groups. In Australia, current guidelines recommend HCC screening for all patients with cirrhosis, regardless of liver disease severity or aetiology. Screening consists of 6-monthly liver ultrasound and alpha-fetoprotein tests. Uptake of screening for HCC is very low in Australia, evidenced by the 5-year survival rate of just 17%. The aims of this project are to a) evaluate current uptake and adherence of HCC screening across Tasmania, b) develop strategies aimed at supporting at-risk patients to participate in regular HCC screening, c) evaluate the cost-effectiveness of screening interventions, and d) assess the effectiveness of new treatments for hepatitis C in reducing the rate of HCC in Tasmania. Ongoing evaluation of the value-for-money of the GP Assist after-hours telephone support service for Primary Health Tasmania.